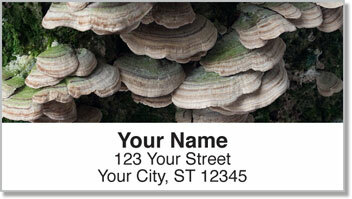 Look around you and you'll spot natural masterpieces everywhere! The bark of a tree, the green moss on the ground the many colors in one tiny pebble, Mother Nature's creations are beautiful to behold. Most of the time we look at the world through a wide-angle lens - taking in vast landscapes and panoramic views. But we tend to forget about the close-ups, which can be just as striking when you take notice. 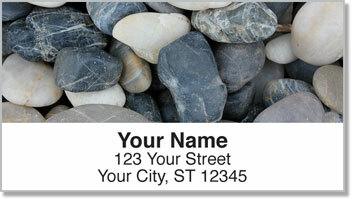 These return address labels are a great way for nature lovers to mark their mail. 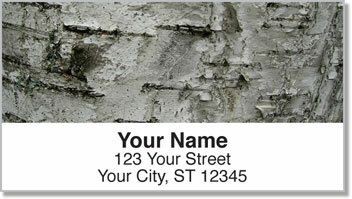 Plus, the self-adhesive backing makes it extra easy to fill out envelopes. Simply peel and place to finish the job! 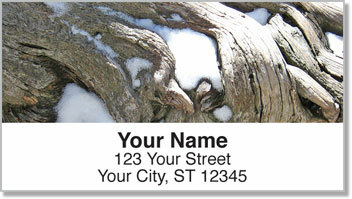 Get your very own Organic Artwork Address Labels today! Order them with a set of matching checks.